ALSTON has 50 years production experiences in the field of bicycle and are the specialist in producing bike pedals and bicycle related products and owns the complete production line from pedals. The pedals made of high quality metal alloy which can prevent degradation over timethese add style and usability to any ride. 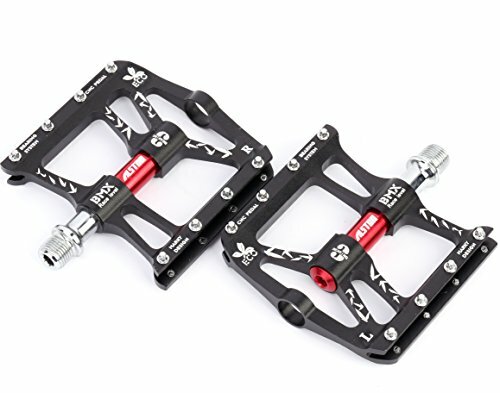 The wider pedal platform fashionable pedals, for human engineering mechanics design which for road racing, cross country and recreational cycling offering an enhanced riding experience. BMX Bike, BMX Bike – Old School, Cruiser, Cyclocross Bike, Dirt Jumper, Folding Bike, Mountain Bike, Road Bike – Touring, Track Bike, etc. Our products enjoy 30 Days Money Back or Free Exchange and 12 Months Warranty! And we also have friendly customer service!